Whether you've signed up for the upcoming famous London Marathon or are considering entering next year, it's worth considering your training beyond just pounding the pavement endlessly. Funnily enough, there's more to marathon training than just running... bend, move and shake in other ways to make your body stronger and more capable of the marathon ahead. We speak to Bristol MoveGB member, Kate Bennett, on how to train for the London Marathon with MoveGB. 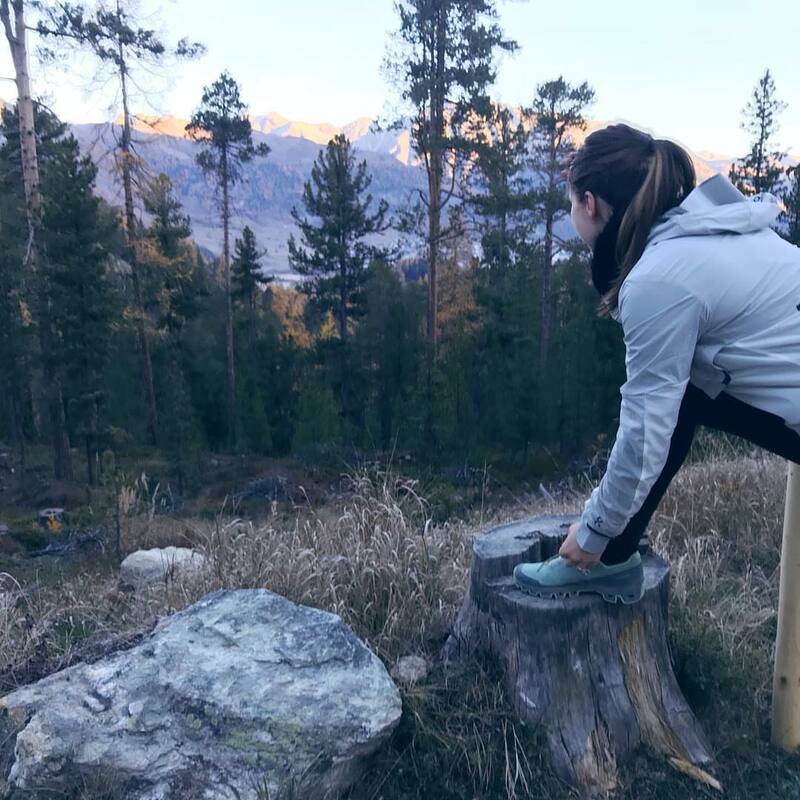 After having to postpone her participation last year due to injuries from her training, she's got a new view and understanding on how to prepare her body for the extreme miles... and she's going to smash it this time! I was actually sprawled on my sofa when I made the decision to enter a marathon. I was putting off a training run for the 10k I was signed up for, procrastinating by watching thousands of people pounding the streets in the 2017 London Marathon. There was just something about the buzz of the crowd, the grit of the runners and the sheer size of it all that made me think, ‘wow, I’d love to do that’. So I put my name in for the ballot for the next year’s event, pretty much assuming that it would take me a few goes to get a place – until my acceptance letter plopped through the letterbox in September. So I started training, slowly increasing my run length and number of miles per week. Up until that point I’d only done a handful of 5k park runs and two 10k races, but I was hooked. I loved the feeling of getting outside and moving my body, getting to explore my city along endless new routes. However, my body was less than impressed. Just over a month before the big day, I had to postpone my entry due to injury. While I’d been taking things steady and slowly increasing my miles to get my legs used to the distance, I’d largely been ignoring all other types of training, resulting in an imbalance in my leg muscles that made it impossible for me to run even 5k without searing pain that lasted for days afterwards. I was gutted, but it was one of the best things that could have happened to my running. Luckily, I was able to hold my spot until this year, and I spent that extra 12 months correcting the problem and learning everything I could about how to prevent any future problems. I learnt about different types of running training, as well as cross-training, mobilisation, and post-run stretching. 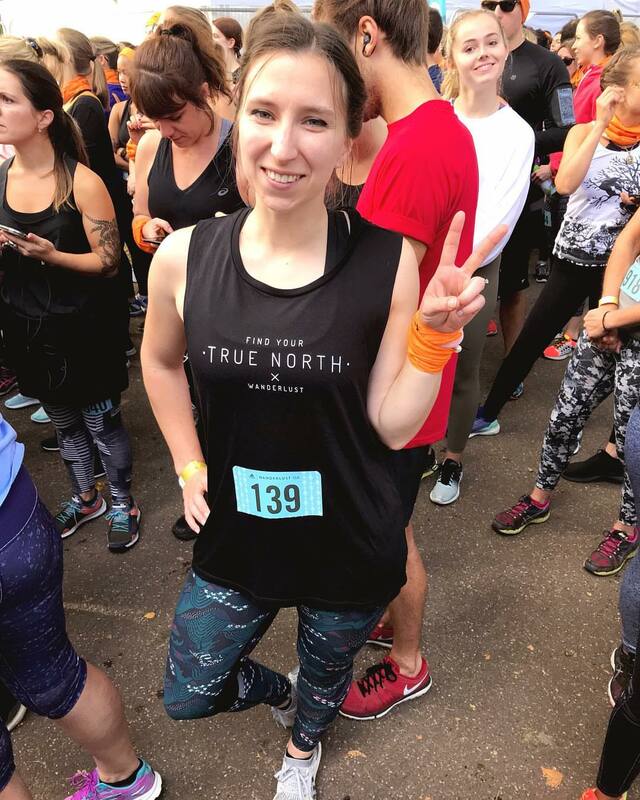 I also learnt how to avoid the mental pitfalls of training for your first marathon, which is, let’s face it, a very long time to be doing any type of exercise! As a MoveGB member, I found it so much easier to schedule everything into my week, not needing to worry about multiple memberships or feeling bad about hitting the road instead of getting value for money on the treadmill. So with everything I've learnt over the past year, I've pulled together an all-rounder marathon training plan for those thinking about doing the marathon next year - check it out below! Well yes, this one’s a given. It’s a good idea to search online for a marathon training plan, which will give you various different weekly distances, speeds and sessions to get you ready for your race. While some of the runs are run outside at marathon pace, to prepare you for race day conditions, there are also speed, hill and fartlek (randomly varying speeds and gradients) runs to complete, which will help to improve your overall time, technique and endurance. I really like to head to the gym to do my speed and hill sessions on the treadmill – not only is it easier to hit the desired speed or gradient, I also find it much easier to concentrate on achieving the goal of the session without worrying about crossing roads or avoiding other pedestrians! I’m also super lucky in that my gym (Workout Bristol Harbourside) has a gorgeous view over the river, which definitely keeps me going when I’m feeling tired. The idea of going to the gym when you’re taking a rest from running might sound counterintuitive, but by being clever with your exercises, weight and plyometric training can really help your legs to become more powerful and avoid muscular imbalances. I like to work on single-leg movements, adding weights for resistance, such as curtsey lunges or single-leg step ups. Jumps, hops and balances are also excellent for increasing power and improving running technique. I’ve been doing sessions at my local F45 (F45 Bath is now on MoveGB) which has been ideal for this – both their resistance and cardio days include these kind of functional movements, and it’s so much fun training with a group of people, especially if you’ve been going solo on your long runs. It’s also important to focus on strengthening the glutes, as they control a lot of the leg muscles that we use in running – banded exercises such as clamshells, monster walks and glute bridges are all excellent as standalone exercises, or to be done before you start your running session. The perfect thing about MoveGB is that wherever I’m starting my running route, there’s usually a gym nearby that I can pop into to get those muscles mobilised and ready – my usual haunt is the Everyone Active Kingsdown leisure centre, before I head off on a jaunt towards the Bristol Suspension Bridge and beyond. While I always try to stretch after a run, I’ve found that building at least one yoga session into my week is really helpful in allowing my muscles to recover from the miles. I go to the dynamic vinyasa-style Hotpod Flow classes at Hotpod Bristol – I find that the heat really helps my sore legs, and allows me to go a little bit deeper into poses that I may otherwise find difficult after a long run! I also sometimes plan my route to finish at the studio for their Nurturing Flow too – it’s a much more relaxed, floor-based class in the heat, which is just dreamy after battling the wind and rain outside. As much as it’s important to focus on marathon training, it can be a long and sometimes lonely journey through to race day. There are times when the last thing you want to do is another run-related workout! That’s when it’s time to get researching and find something a bit more fun to do. I’ve tried Beyonce dance class at The Island, DISCOaerobics at Hamilton House and SUP-boarding around the harbourside. 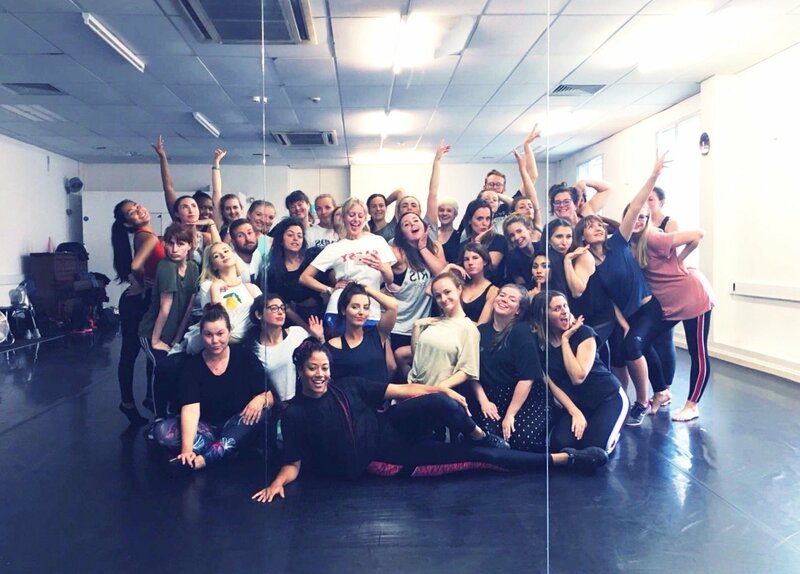 Not only do they help you to feel energised, ready to return to your plan when you’re ready, but all of them have helped me to improve my coordination and balance, which have definitely helped me to get better at running – as well as my sassy dancing skills. If you’ve got your eye on a marathon, I really encourage you to give it a go – I’m yet to run my race, but this year I’m feeling happy in both mind and body and looking forward to getting the last few long runs in before getting to that start line. By sticking to a plan and taking care of my whole body, I already feel as though I’ve achieved something much bigger than 26.2 miles – and I feel capable to tackle whatever other challenges come my way after race day. Ultra marathon, I hear you say? Kate is a personal trainer, yoga teacher and journalist, based in Bristol. She loves running (handy! ), gin and dogs, although her pup Juno refuses to go for a jog with her. 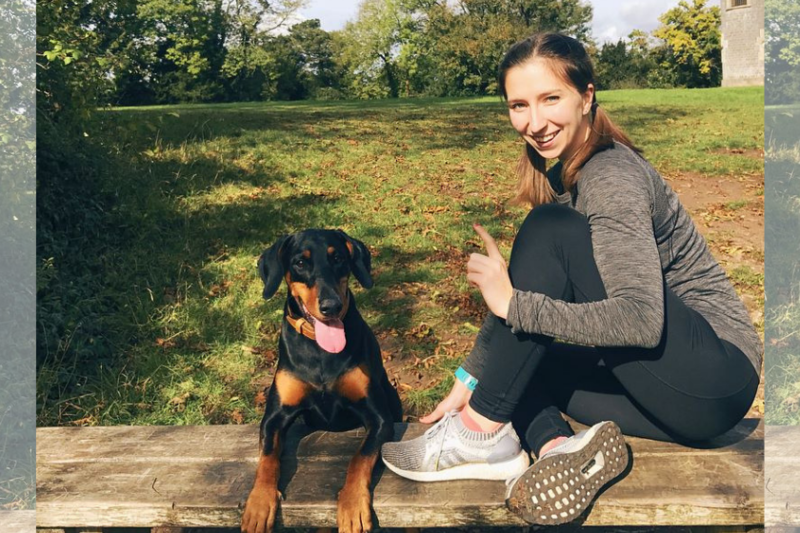 You can find her on Instagram @_kate_alex to find out more about her fitness and how she goes at the London Marathon - Good luck, Kate!